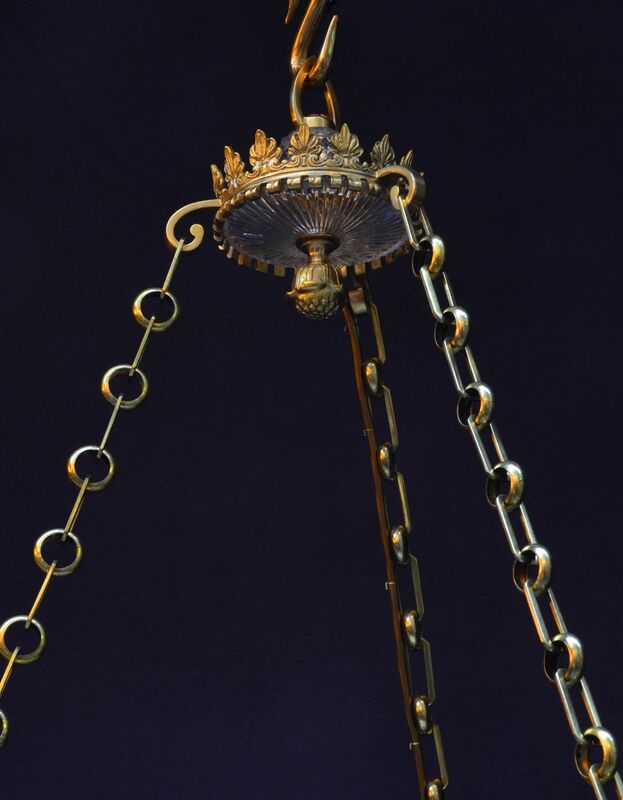 on three chains from matching top boss; restored. 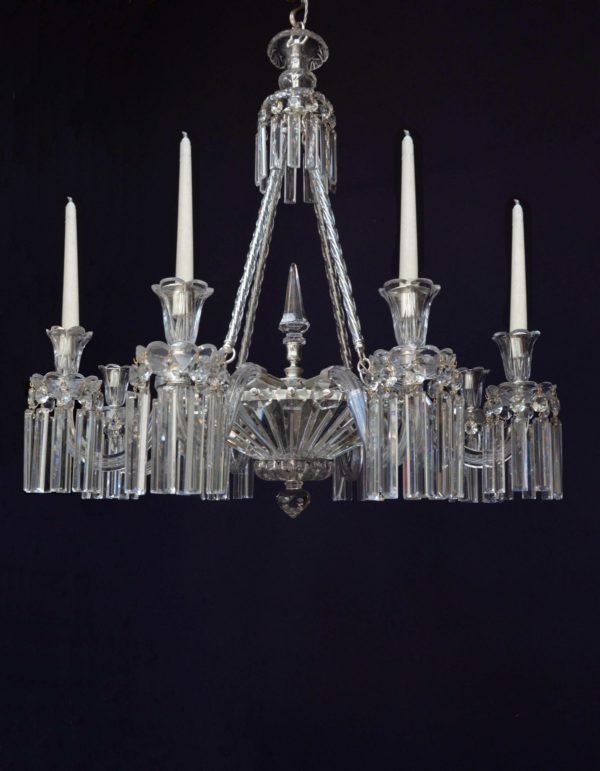 Named after the Prince Regent, later George IV, circa 1810 to 1830, the term is also used more widely to describe the prevailing English neo-classical style between the 1790s and 1840. 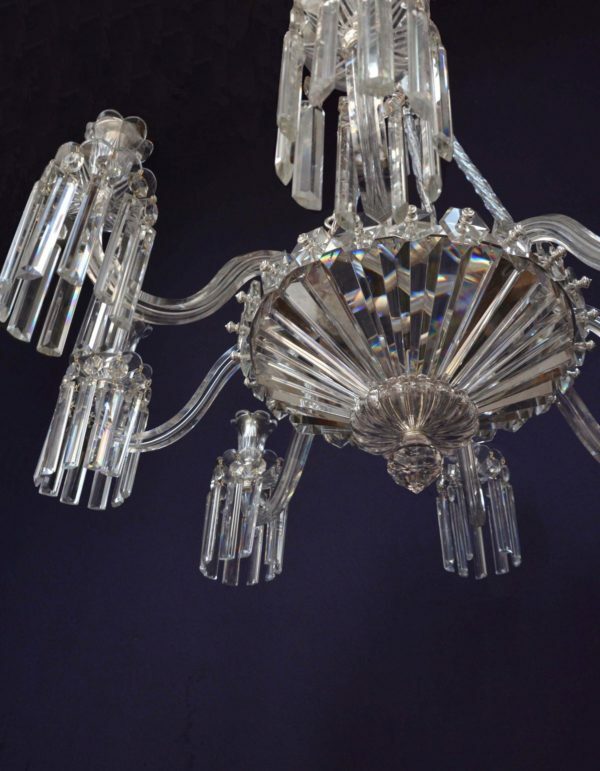 In lighting, they used multiple cut-glass prisms to achieve as many reflections as possible such as 'double-stars' and 'icicles'. 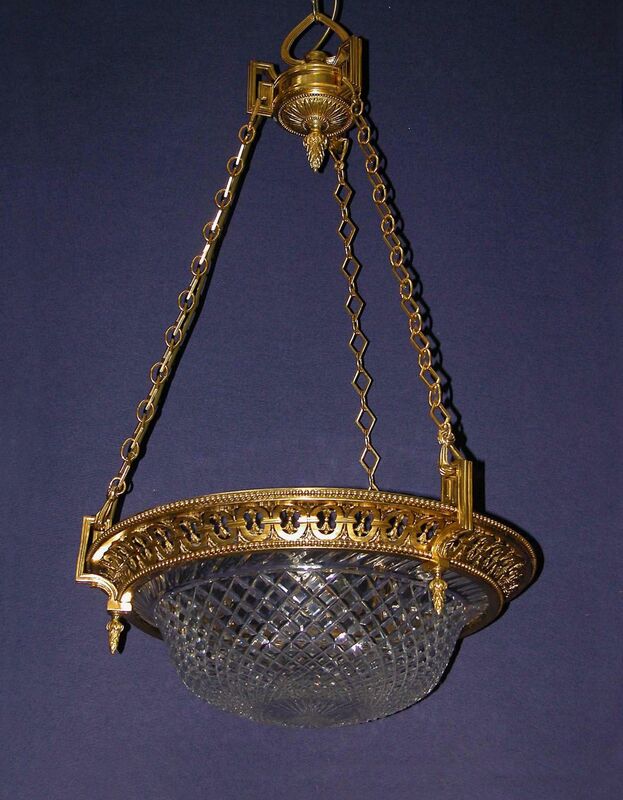 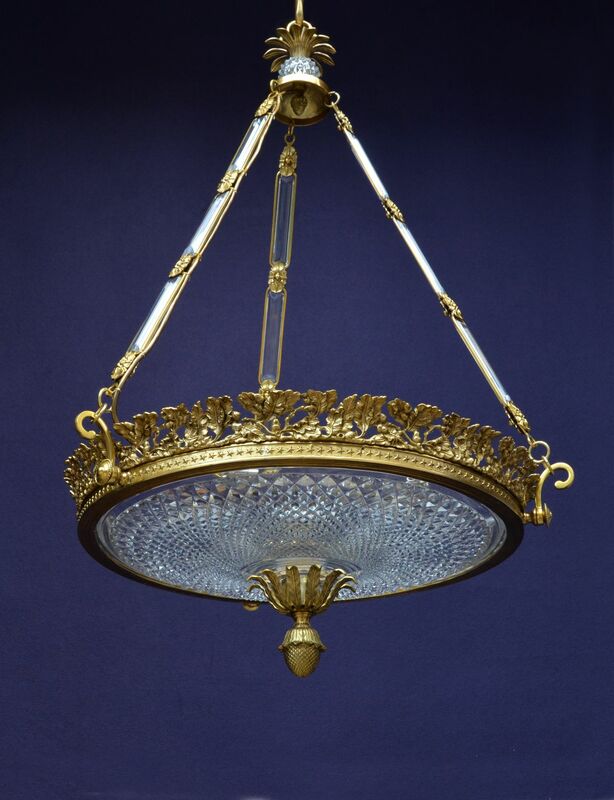 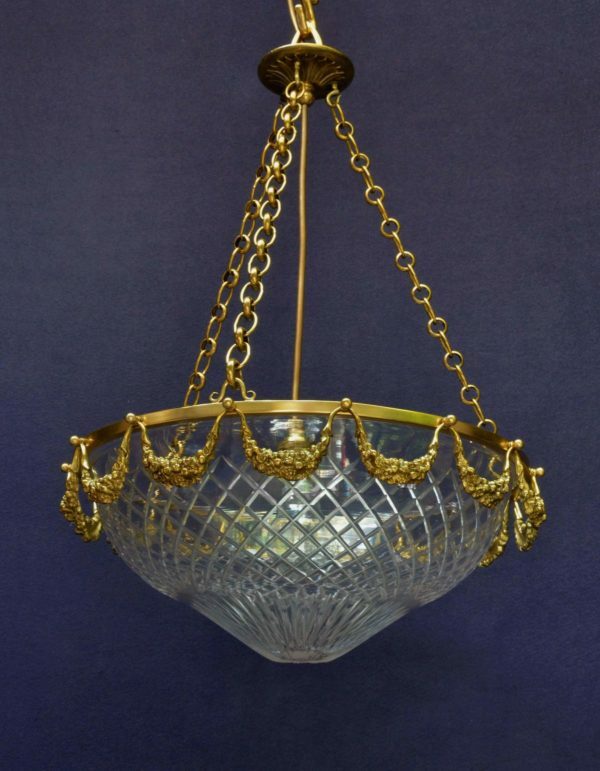 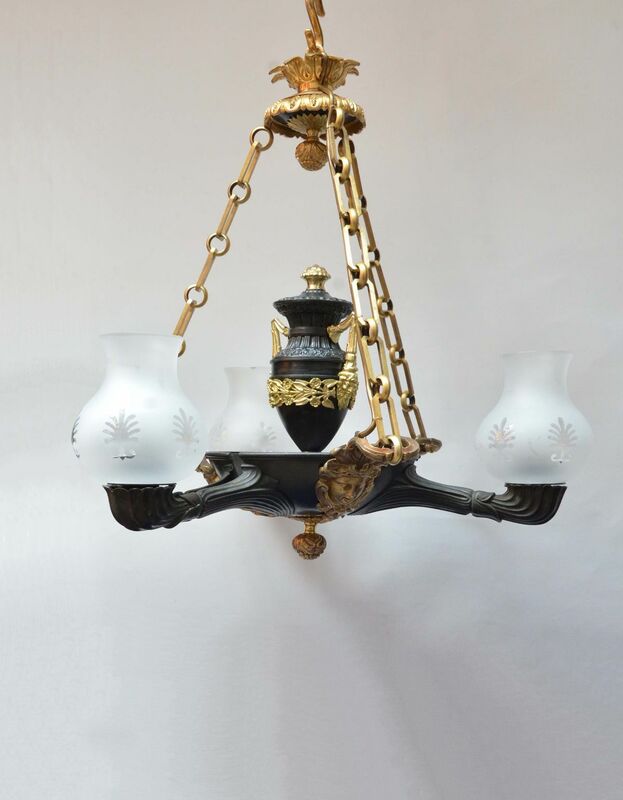 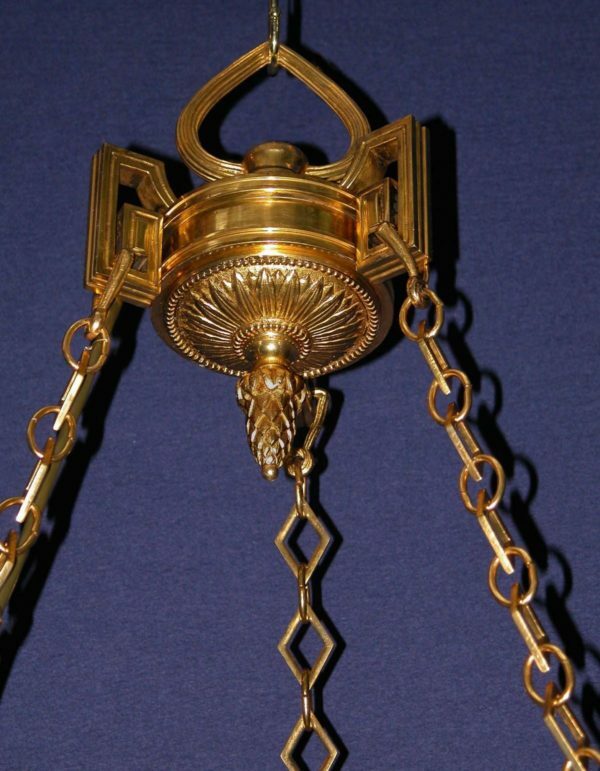 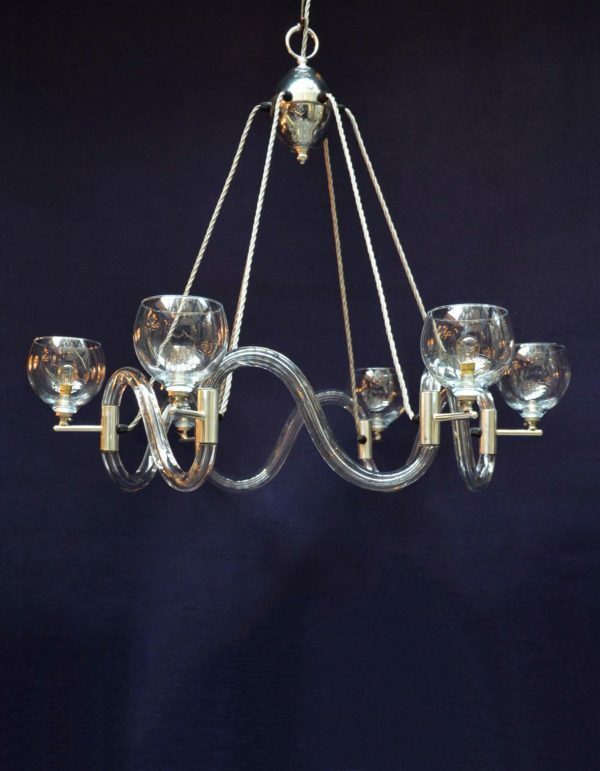 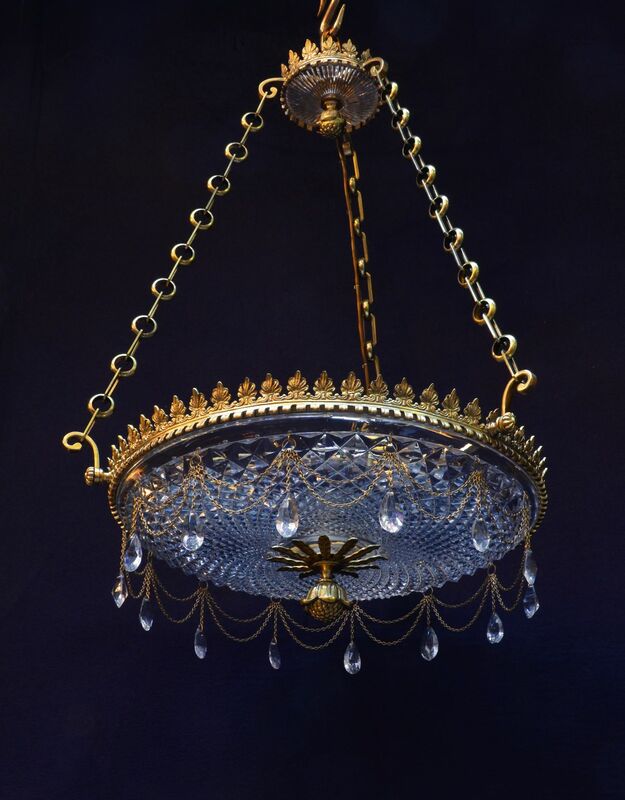 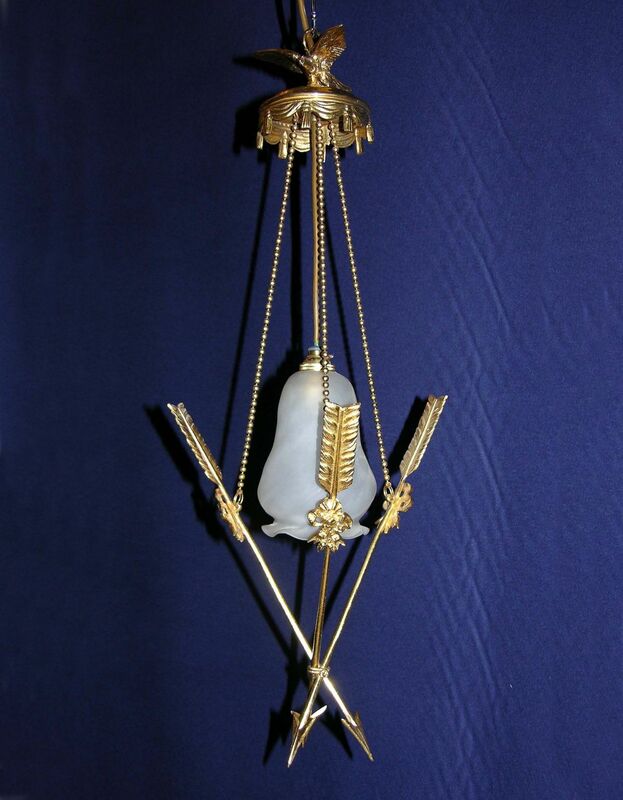 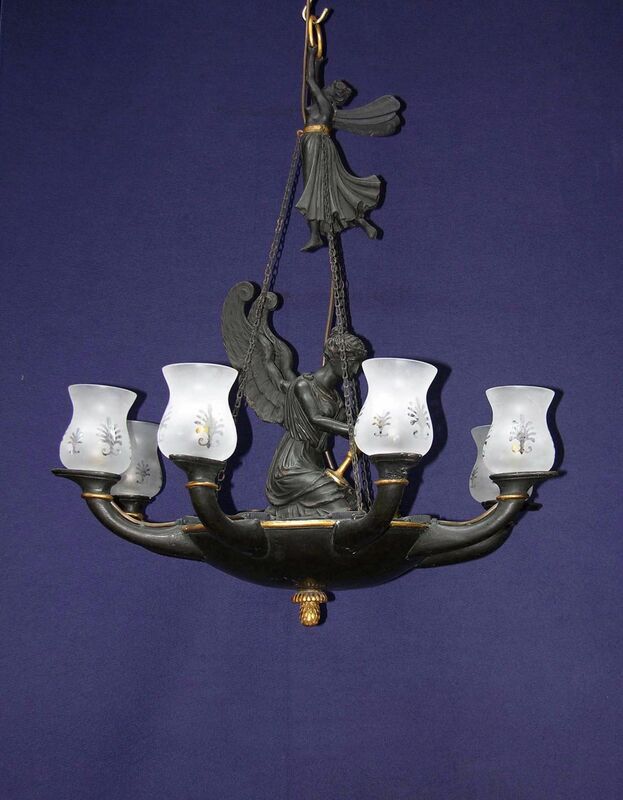 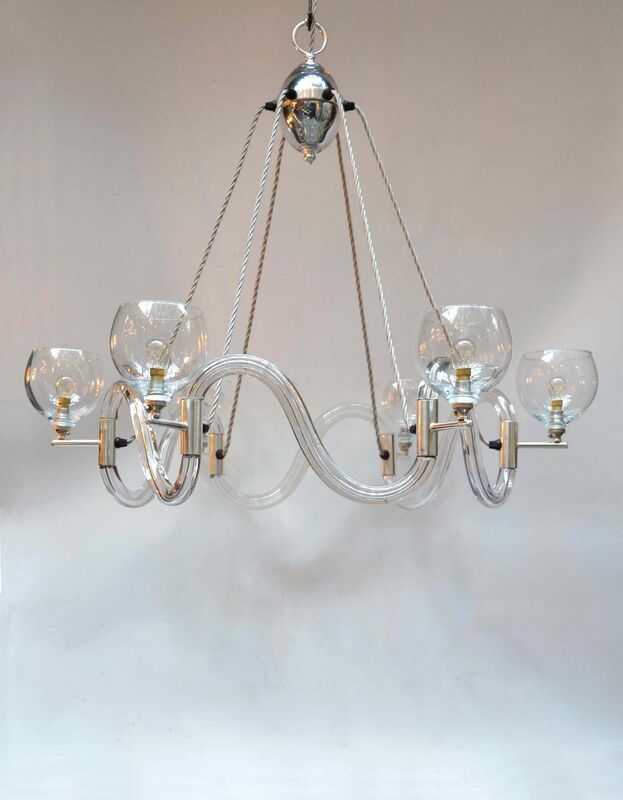 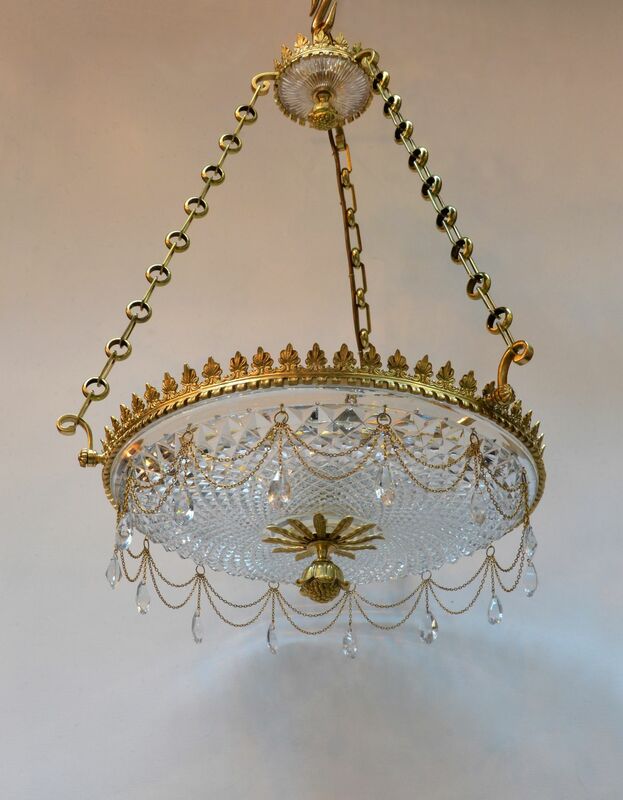 Two chandelier designs typical of this period are the colza oil dish light and the balloon-shaped chandelier with graduated chains of prisms. 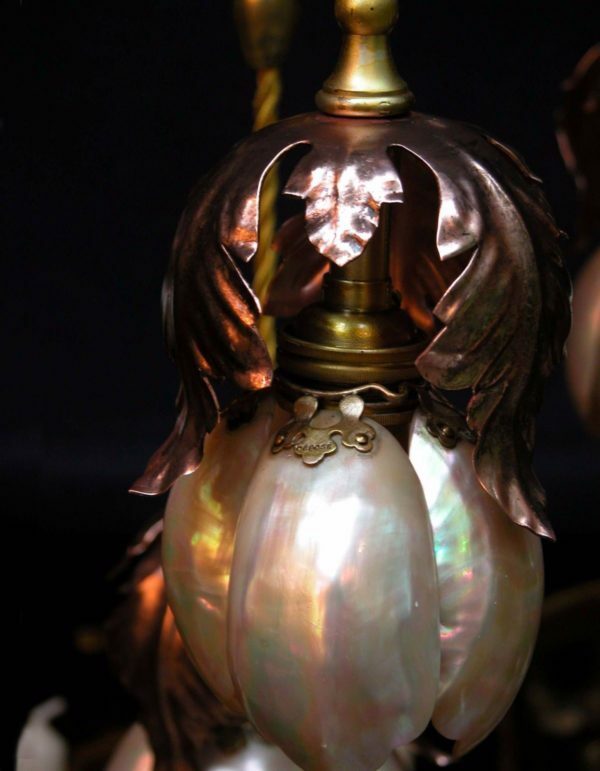 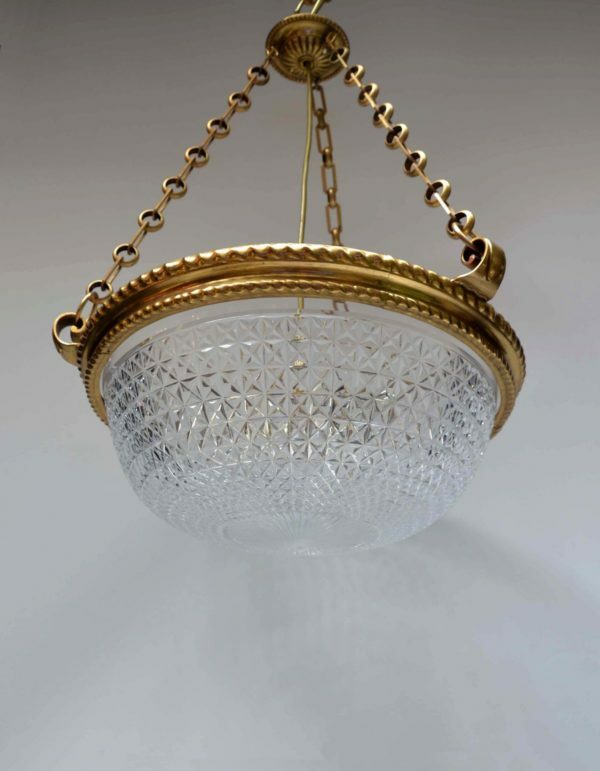 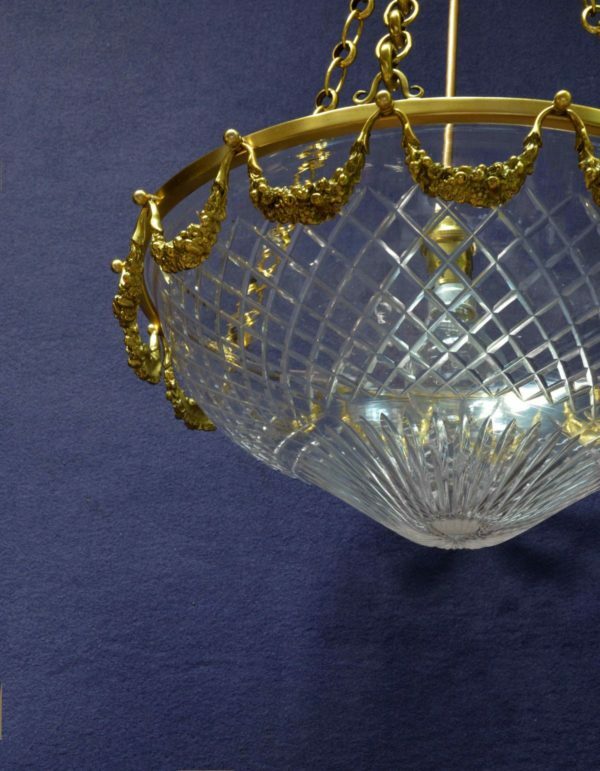 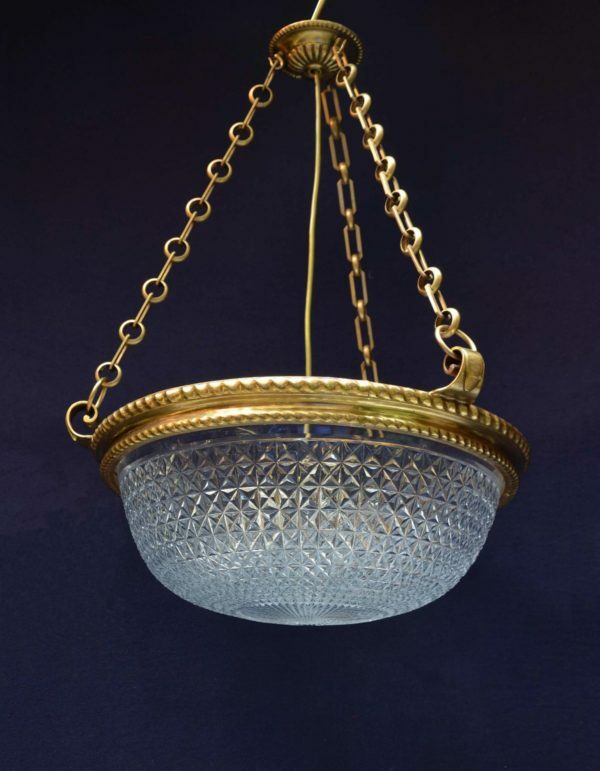 Often now referred to as 'crystal', the glass was blown and shaped, then passed to a specialist cutter, who would polish and cut patterns to enhance its brilliance. 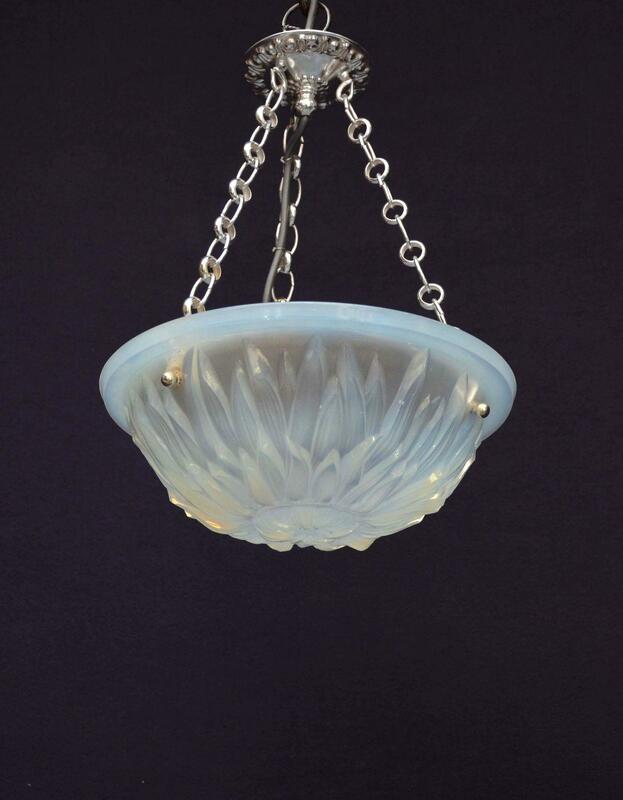 Pear-shaped cut-glass pendant with a facetted front and pointed star back. 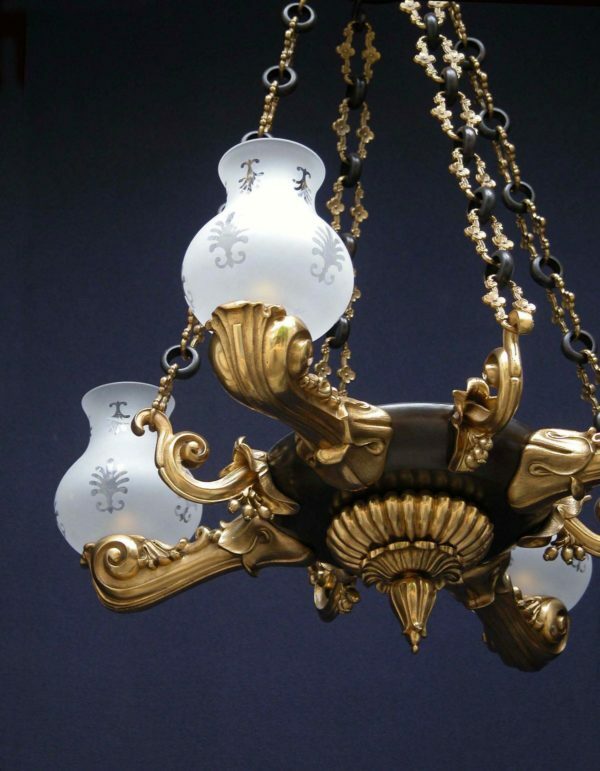 The famous stylised lily associated with French royalty. 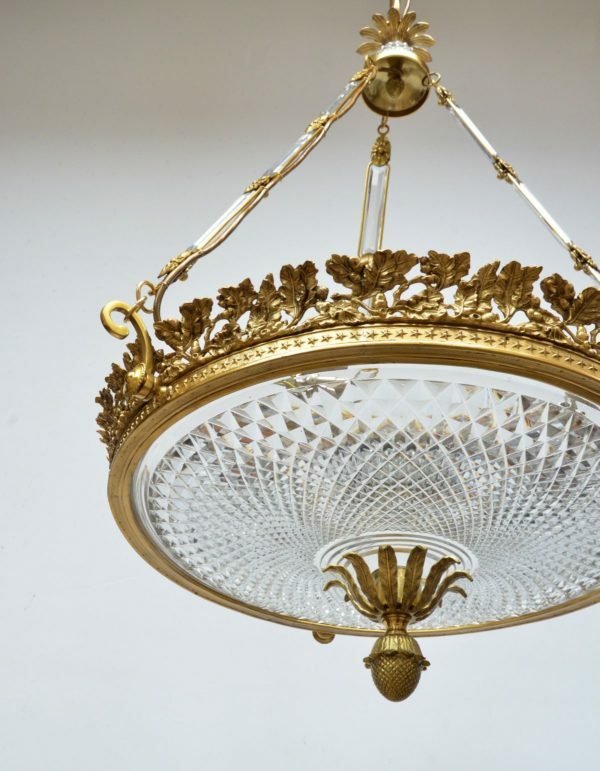 A knob or stud or other round, protruding ornament; the architectural term meaning circular roundel on a the crossing of a ceiling vault. 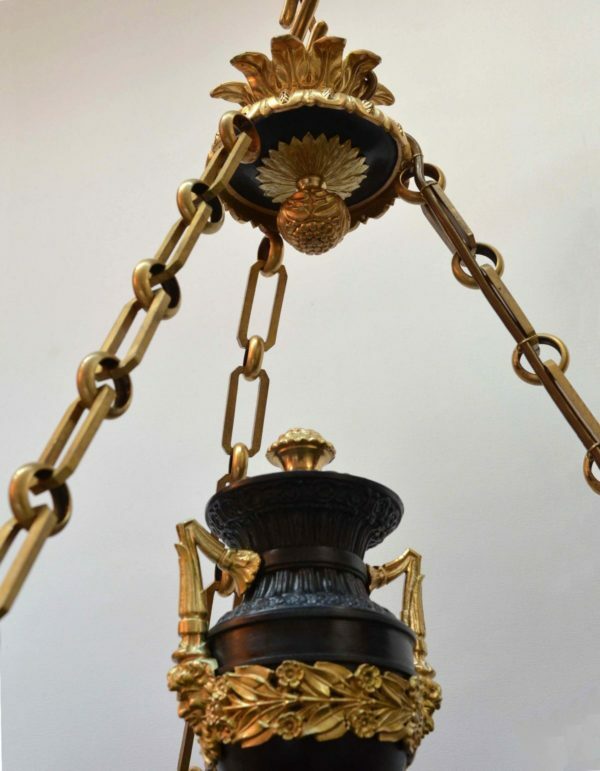 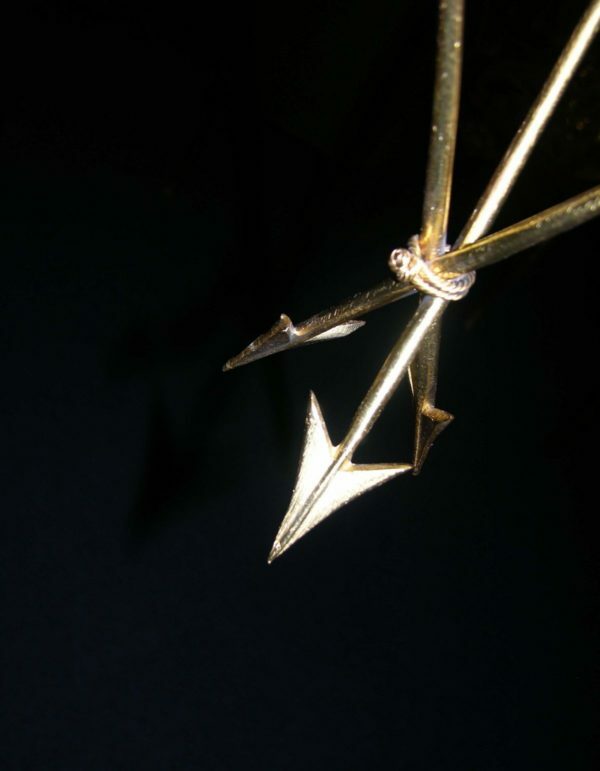 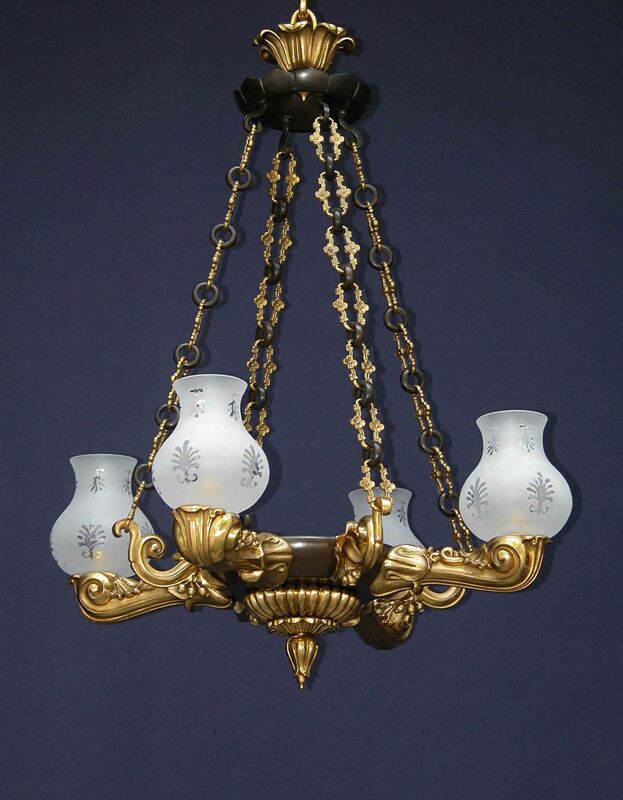 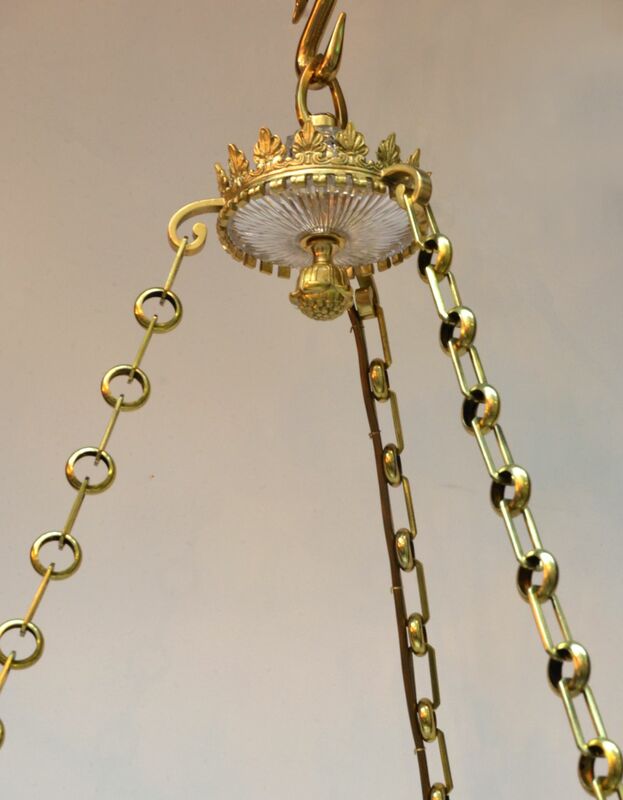 We use 'top boss' to describe the decorative metal knob where the chains or struts meet at the top of a chandelier.